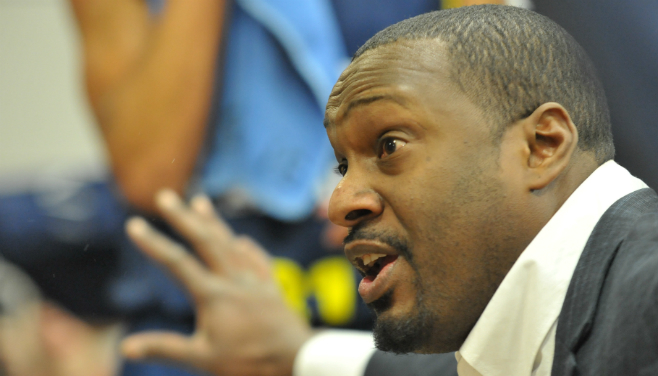 DBL Sharks Sheffield play-caller Atiba Lyons has scooped the first gong of the new BBL season after a terrific October when despite encountering some personnel issues, he guided his team to a 5-0 record. Bouncing back from their narrow opening night loss to Scorchers, the Sharks have been flying ever since, taking some big scalps along the way including the likes of Glasgow Rocks and London Lions. The winning streak started against the Rocks at the start of October, when Sharks posted an impressive 86-76 success at the Emirates Arena. They followed that up with a comfortable first home win, taking the honours in the Yorkshire derby with an 98-71 triumph against Leeds Force. Next in line were Plymouth Raiders, who Sharks eventually despatched 83-78 in an intense tussle. Wrapping up an excellent opening few weeks, Sharks then completed their run with two more home victories, emphatically taking down Bristol Flyers 86-70 and then marching past London Lions 83-73. Lyons fought off strong competition from the other main candidate in Fab Flournoy, who has masterminded an unbeaten start to the season with Esh Group Eagles Newcastle.